You can’t deny that Rome is one of the most beautiful and historically rich cities in Europe, attracting hundreds of thousands of tourists each year. 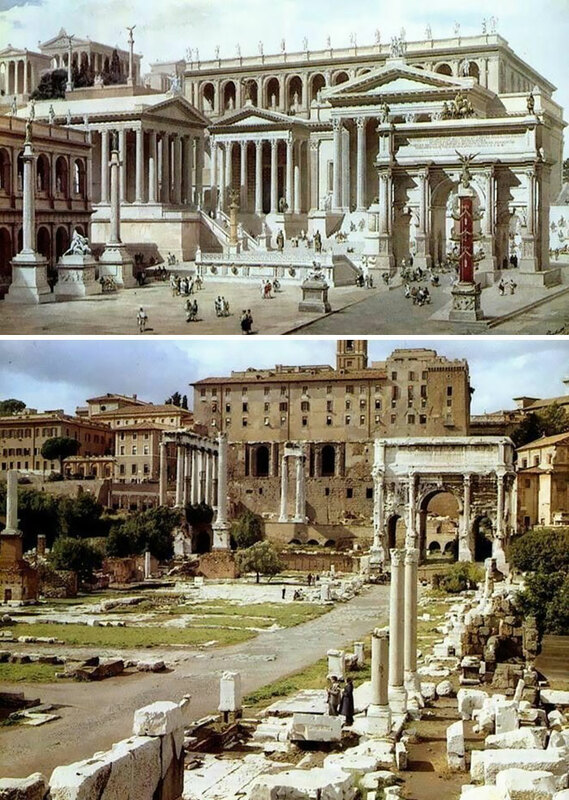 And even after about 2,000 years of wars, disasters and looters ravaging its buildings, the unique ancient Roman architecture that still survives to this day is definitely something that will leave you in awe. 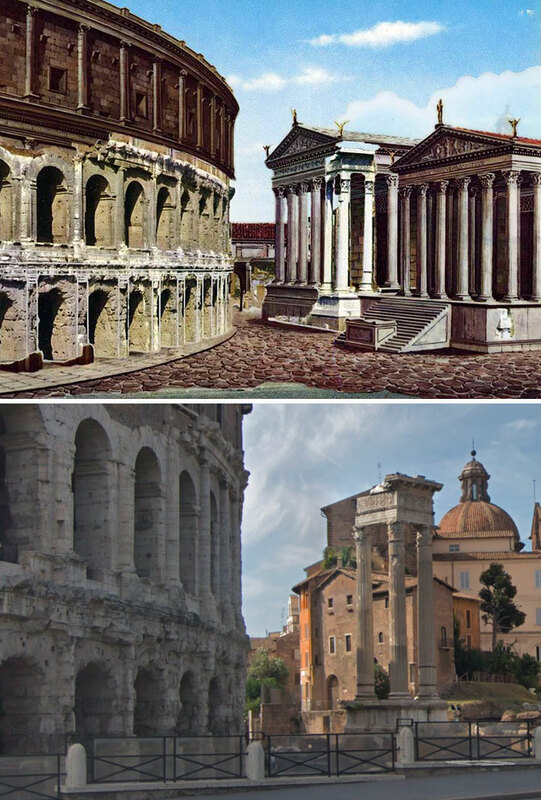 Scroll down to see how some of the most iconic pieces of Roman architecture looked in their golden years! The Colosseum is without a doubt the most famous ancient structure in Rome, still standing strong after 2000 years. During its glory days, this giant amphitheater used to hold up to 80,000 people who came to watch gladiator battles, executions, and dramas. 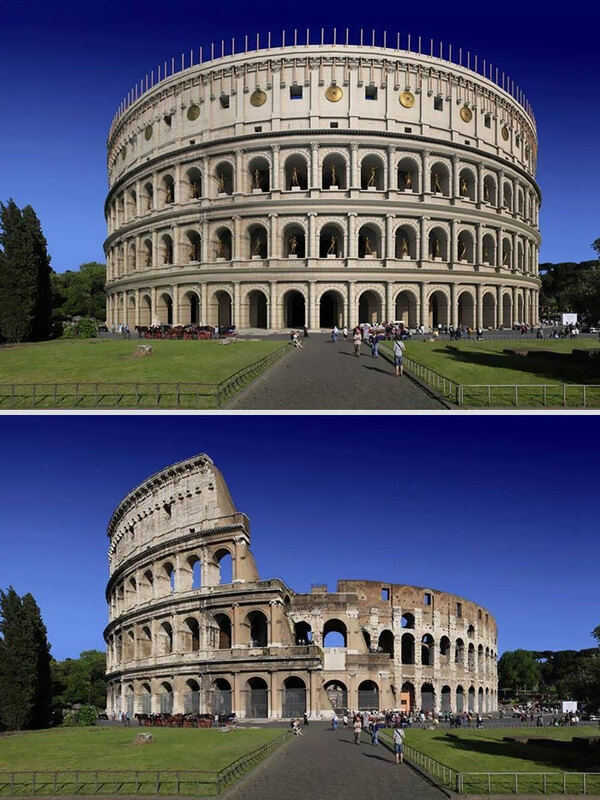 And even though a hefty part of the Colosseum was destroyed throughout the years, it still remains one of the most visited tourist attractions of Rome. 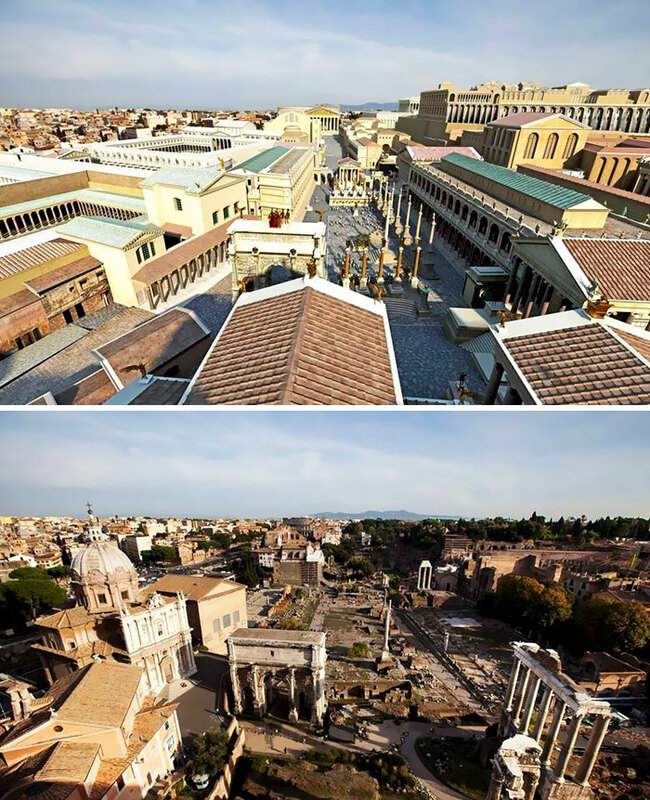 The Roman Forum is a grand plaza in the heart of Rome. Only the ruins remain of what was once important government buildings of the old empire. It was one of the city’s most important commercial hubs, a place where public speeches were given and served as an inspiration to many artists and architects. The Stadium of Domitian was built in AD 80 as a gift to the Roman people from emperor Titus Flavius Domitianus. 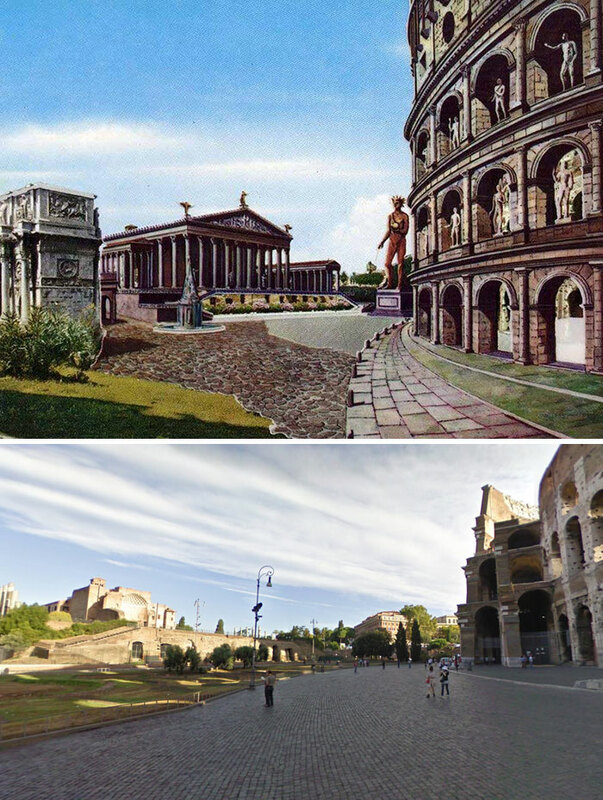 When the Colosseum suffered fire damage in AD 217, the gladiator battles were moved here. As the Roman Empire’s power diminished, the stadium was used as housing for the poor and eventually was torn apart for building materials. Nowadays Piazza Navona stands in place of the old stadium. 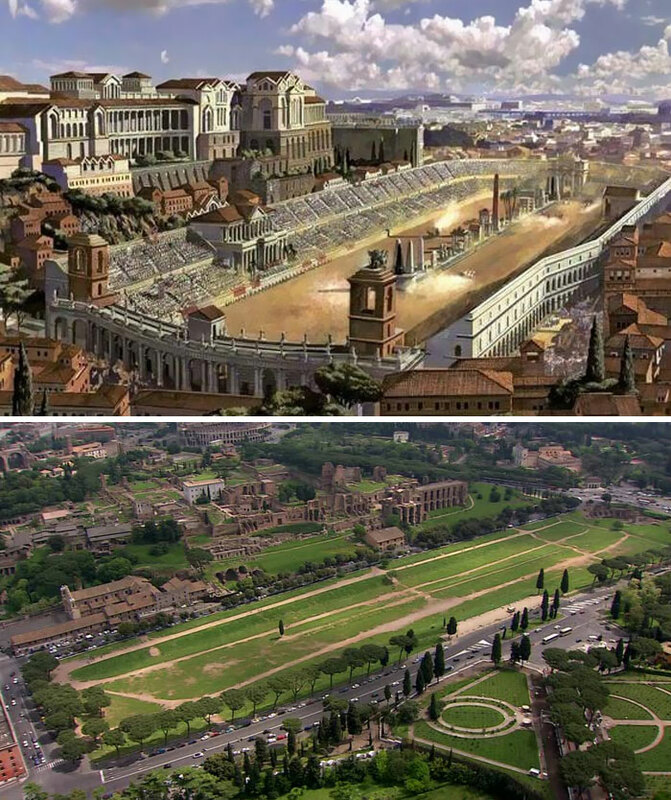 The Circus Maximus was a stadium where chariot races, public games, and religious festivals used to be held. It measured 621 m (2,037 ft) in length and 118 m (387 ft) in width. 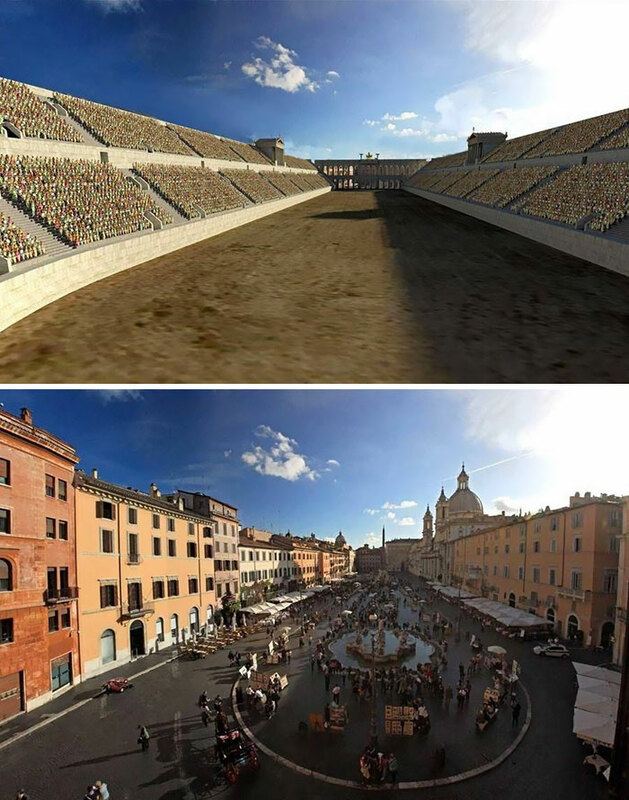 It could hold a whopping 150,000 people and was the largest stadium in ancient Rome. Nowadays the stadium no longer stands and a public park lies in its place. 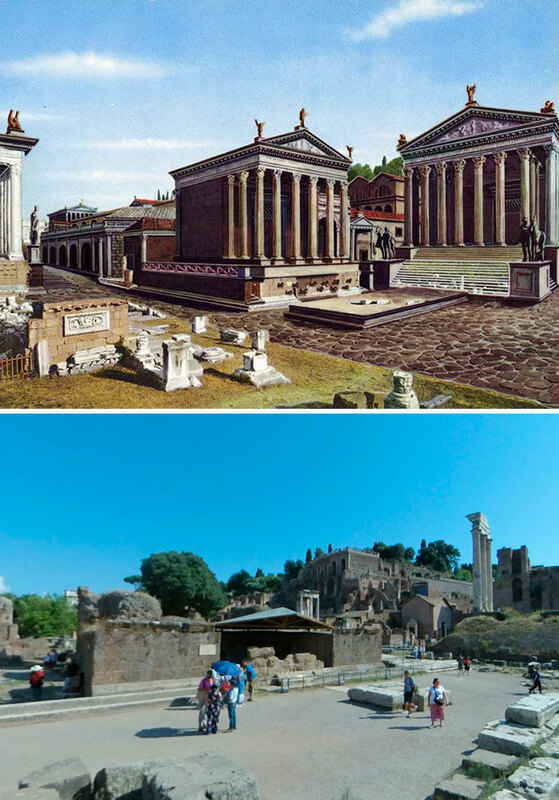 The Temple of Venus and Roma, built in AD 135, was once the largest temple in Ancient Rome. It was located right next to the Colosseum on the Velian Hill and was dedicated to goddesses Venus Felix and Roma Aeterna. Historians believe that the temple was destroyed by an earthquake sometime in the 9th century. Eventually, Pope Leo IV ordered a church to be built in its place and only a few columns of the former temple remain. The Castel Sant’Angelo, located in Parco Adriano, was commissioned by Emperor Hadrian. It was built between AD 134 and 139 and was supposed to serve as a mausoleum to the emperor and his family. The emperor’s ashes were placed inside in AD 138 and the tradition of laying all emperor’s ashes to rest here was born. 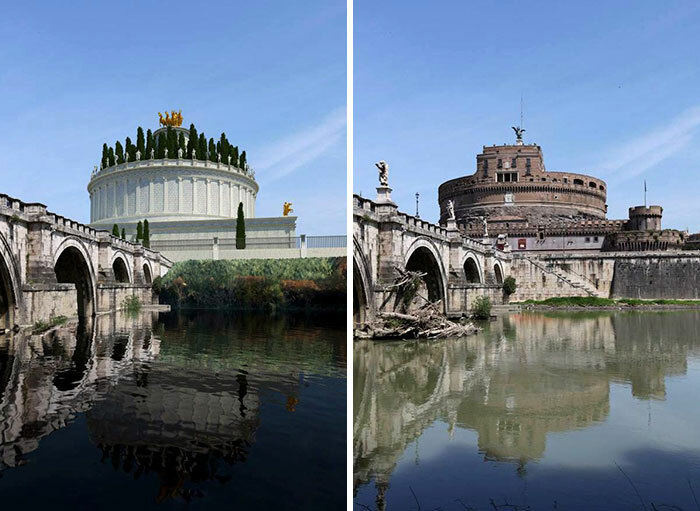 In later years, the Mausoleum was used as a fortress by popes and nowadays serves as a museum. During its golden days, the Tabularium used to house the offices of many city officials. Surprisingly, even though nearly 2,000 years have passed since it was built, its great corridor still remains partially intact. 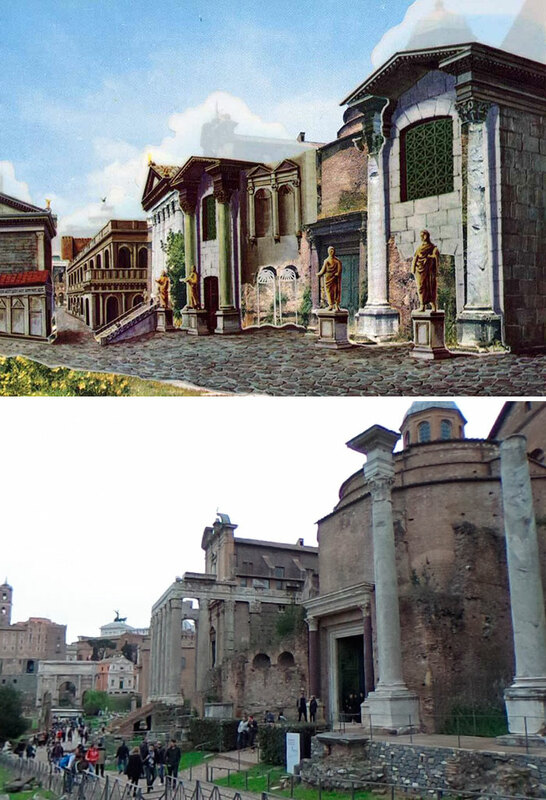 The Theatre of Marcellus was built in 13 BC and served as a place where people could come watch performances. Some sections of the theatre still remain intact to this day. Sadly, we can’t say the same thing about the Temple of Bellona and Temple of Apollo Sosianus – only three columns remain of the latter temple. The Basilica of Santi Cosma e Damiano was commissioned by Emperor Maxentius in honor of his son Valerius Romulus, who died in 309. The building was later Christianized in 527 and dedicated to the Sancti Cosma et Damianus. A large part of the structure remains intact to this day and is now a popular tourist attraction. 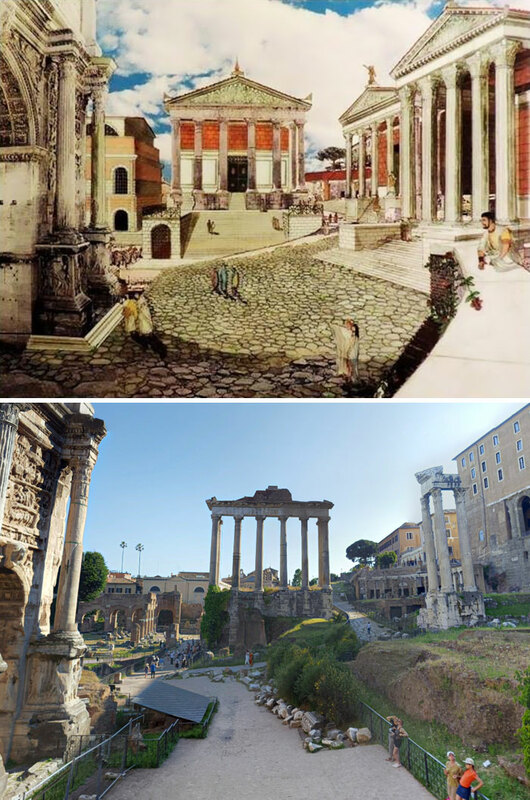 The Temple of Castor and Pollux was built in 495 BC to commemorate the victory of the Battle of Lake Regillus and served as a meeting place for the Roman Senate. Sadly, not much of it survived to this day – all that is left are a few columns and a few other fragments. The Temple of Caesar, built in 29 BC, was dedicated to Julius Caesar, making him the first Roman resident to have a temple built in his honor.